General Motors Company uses its organizational structure to support managerial decisions. The company also streamlines the business through activities flowing through its corporate structure. A firm’s organizational or corporate structure is the design or system that involves the composition and arrangement of business components, such as departments or offices. In General Motors’ case, the organizational structure focuses on regional markets. For example, the company has a managerial team for operations in North America. As a result, the corporate structure serves as a means for implementing strategies specific to regional market conditions. As a major player in the global automotive industry, General Motors must align the characteristics or attributes of the organizational structure with business needs relative to market conditions. This situation is so because the company’s business capabilities are partly dependent on the structural features of the organization. With a suitable and evolving corporate structure, General Motors can optimize its capabilities and performance in the international market. 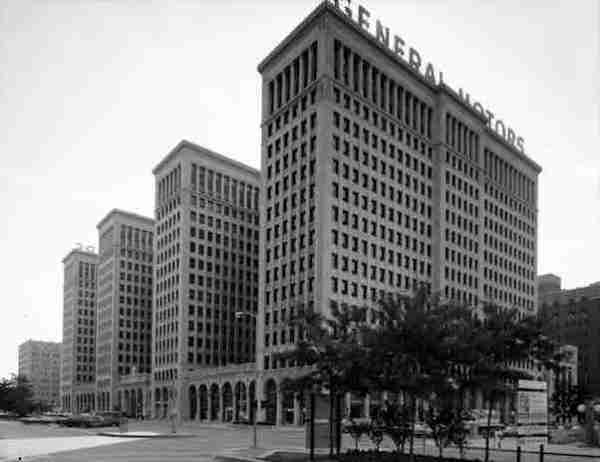 The characteristics of the corporate structure determine some aspects of General Motors’ capabilities. In this regard, corporate managers must ensure that the structural characteristics of the business are aligned with strategic goals. General Motors must include flexibility as a defining factor to maintain competence and resilience despite tough competition from other firms like Toyota (Read: Toyota’s Organizational Structure and Its Characteristics). With rapid technological advances sweeping the automotive industry, as shown in the case of firms like Tesla (Read: Tesla’s Organizational Structure and Its Features), General Motors must maximize the benefits of its corporate structure as a way of strengthening the business. An advantage of General Motors’ regional divisional organizational structure is the flexibility of the business in responding to regional market variations. For example, each regional segment can implement a set of strategies suited to the conditions of the regional market under consideration. Another advantage of the corporate structure is its support for General Motors’ ability to separately focus on its financial services business and its automotive business. These advantages optimize the company’s effectiveness in growing the sales of its automobiles in the global market. Despite such advantages, General Motors’ organizational structure has the disadvantage of limited support for branding consistency at the international level. This disadvantage is based on the focus of the corporate structure on regional markets, leading to reduced consistency in branding and marketing throughout the global automotive market. A recommendation to address this issue is to develop a suitable marketing campaign that establishes consistency in General Motors’ branding. This recommendation can improve the company’s brand strength. For example, through a unified and consistent marketing campaign, General Motors can build stronger brands that attract target customers worldwide. General Motors Company – Leadership – Corporate Officers. U.S. Department of Commerce – International Trade Administration – The Automotive Industry in the United States. Withey, M. J., & Gellatly, I. R. (2015, January). Organizational Structure, Situation Strength and Employee Commitment: Test of a Process Model. In Academy of Management Proceedings (Vol. 2015, No. 1, p. 14587). Academy of Management.